With all the concerns in the UK about Brexit it’s easy to forget that whatever happens – business and life will carry on regardless, and we will carry on designing bags to order for clients that will sell worldwide. New business’s will launch – some will fail, but many will prosper! At a New Year is a time to be optimistic and now you have the year ahead of you to get the wind in your sails and make it happen. Creating bag designs and “making it happen” is what we do. 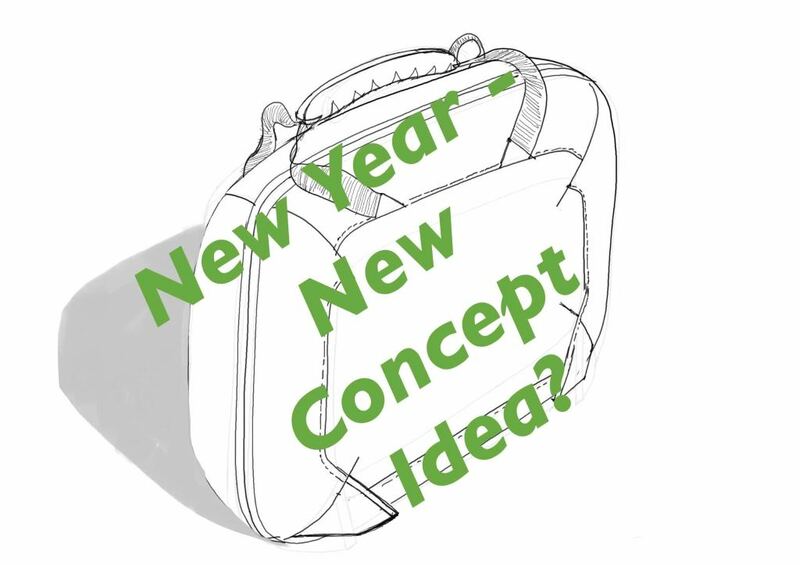 If you have got a great idea for a bag or luggage product we can help convert an idea and your market research into a bag prototype that you can use to check your if idea works. But manufacturing a sample prototype bag should be the end of the design and development process – not the beginning. What counts is making sure that the business and marketing proposition behind the bag idea stacks up and makes sense. When we have good solid primary and secondary market research to support the bag idea we can design the perfect bag design product to wow the only person who actually matters in this process – the end customer. So what we can do is not just design for you… what we offer is to help you qualify that the product idea is competitive …. Why anybody should buy it? What can we design to be better than the competition? So lets study the competition – and make sure we design the bag – so it is positioned …maybe not directly in competition with existing products – but competitive through style, function and features. good start – but anybody could come along and copy that couldn’t they? No we need to be smarter than that. What we need to do is work out what kind of problems people have with carrying a yoga mat and equipment? Maybe they find them difficult to carry on public transport – maybe they want to carry many mats (i.e. they might be a teacher) or maybe they are very concerned want to shower after a session and so need space for a toiletries kit and change of clothes? Oh and maybe they have just come from work so they may be worried about carrying many bags and would prefer to carry just one bag that can adapt from work to yoga studio? It is through studying the user’s needs – that we can craft an ideal bag product design. We aim to find angles where we can create a stylish and functional bag that goes with the customers lifestyle of clothing, transport and “what they must carry” and then design the product to match the practical needs. It is in this foundation of research that we help you do to create the basis of the most competitive bag for the customers you have identified. So it’s not just about drawing a nice bag design and making “what we personally like” – it’s all about having a great idea that is backed up with through research. Give us a call to discuss your plans. We can help you structure your research so we get an excellent design brief to help us together create the most competitive new bag design – so you can aspire to sell it worldwide.